The Canada Mortgage and Housing Corporation (CMHC) announced on January 17, 2017 that it will increase its homeowner mortgage loan insurance premiums effective March 17, 2017. Now that the deadline is only two weeks away many new home buyers in Edmonton are scrambling to try to find a home before the increase. All of this while still trying to understand how this cost will actually impact their monthly budgets. Premiums are calculated based on the ratio of the mortgage to the property’s value, known as the “loan-to-value ratio” of the mortgage being insured. Banks and other lenders typically require mortgage loan insurance when a home buyer makes a down payment of less than 20 per cent. The higher the percentage of the total house price/value that you borrow, the higher percentage you will pay in insurance premiums. The premium can be paid in a single lump sum but more frequently is added to the mortgage principal and repaid over the life of the mortgage as part of regular mortgage payments. CMHC’s standard mortgage loan insurance premiums will be changing as follows: For the average CMHC-insured home buyer, the higher premium will result in an increase of approximately $5 to their monthly mortgage payment. For example, if your property was $266,500.00 and you have a down payment of 5% or $13,325.00, you would have a mortgage of approximately $253,175.00 and need mortgage insurance. Prior to the increase, your cost for Mortgage Insurance from CMHC would be 3.60% of $253,175.00 or $9,114.30. 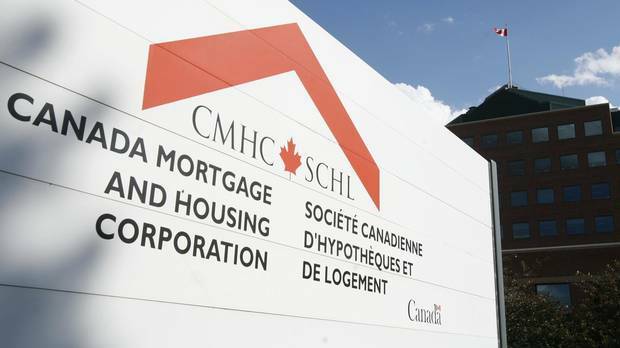 After March 17, your cost for Mortgage Insurance from CMHC would be 4.00% of $253,175.00 or $10,127.00. That’s an increase of $1,012.70. However – this increase is spread out over the life of your mortgage, typically for 25 years. Your increase on a monthly basis will be about $5.10. If you have questions on how this increase will affect your mortgage, please contact our mortgage broker team and we’d be happy to consult with you.